So, who is your prom date, again? AJ Johnson–played Jody’s mama in “Baby Boy” and Lindsay Lohan’s REAL life coach–made a lucky teen’s day at St. Jude’s Research Hospital. The actress/spiritual guru visited her No. 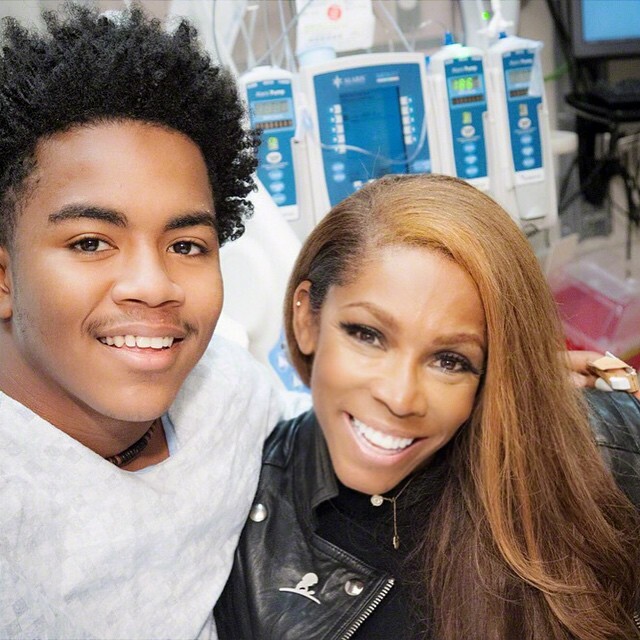 1 fan 17-year-old Donovan, battling sickle cell anemia, to raise his spirits. After finding him holed up in his dark room, AJ lightened his mood by gifting the aspiring rapper with a beatbox. No sooner was he giving her a freestyle show. Then made a deal: She agreed to be his prom date (That’s their prom pic above) but only if he’ll do the “House Party” kick step when his health improves. I hope they shook on it. I’d love to see the Kid’n’Play step again. Oh, and if you’re wondering the prom was held at St. Jude’s. How cute is that?